Transformer ratings are measured in volt-amperes (VA) or kilovolt-amperes (WA). Engineers rate power transformers according to the maximum output voltage and current they deliver. For a given unit, we'll often read or hear about the volt-ampere (VA) capacity, which equals product of the nominal output voltage and maximum deliverable current. A transformer with 12 V output, capable of providing up to 10 A of current, has a VA capacity of 12 V x 10 A, or 120 VA. The nature of power-supply filtering makes it necessary for the power-transformer VA rating to significantly exceed the actual power in watts that the load consumes. A high-quality, rugged power transformer, capable of providing the necessary currents and/or voltages, constitutes an integral and critical part of a well-engineered power supply. The transformer is usually the most expensive power-supply component to replace if it burns out, so transformer engineers always choose the appropriate transformer ratings when designing and building a power supply. Serious injury or damage may result from installing a transformer with an improper voltage, current, or power rating. 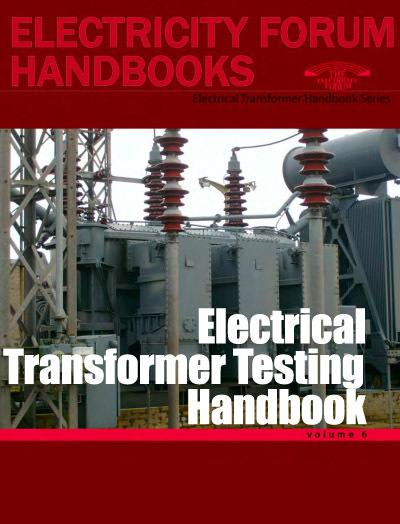 When a transformer is to be used in a circuit the voltage, current, and power-handling capabilities of the primary and secondary windings must be taken into consideration. When nominal values of voltage, current, and power are specified they represent the middle point of the respective maximum and minimum rated values. The maximum voltage that can safely be applied to any winding is determined by the type and thickness of the insulation used. When a better (and thicker) insulation is used between the windings, a higher maximum voltage can be applied to the windings. The maximum current that can be carried by a distribution transformer winding is determined by the diameter of the wire used for the winding. If current is excessive in a winding, a higher-than-ordinary amount of power will be dissipated by the winding in the form of heat. This heat may be sufficiently high to cause the insulation around the wire to break down. Therefore, to keep the transformer temperature at an acceptable level, we must set limits to both the applied voltage and the current drawn by the kVa load requirements. Temperature class for the insulation system if transformer is the dry type. Excessive temperature rise is the main cause of transformer failure. The heat generated in transformer operation causes temperature rise in the internal structures of the transformer. In general, more efficient transformers tend to have lower temperature rise, while less efficient units tend to have higher temperature rise. Transformer temperature rise is defined as the average temperature rise of the windings above the ambient (surrounding) temperature when the transformer is loaded at its nameplate rating. This value is usually based on an ambient temperature of 40°C. As an example, a 150°C rise dry transformer will operate at an average winding temperature of 190°C when at full-rated load in a 40°C ambient environment. Although the resultant temperature rise is averaged over the whole winding, the inside of a winding is hotter than is its outside. The hottest spot is at some point inside the coil having the longest thermal paths to the outside air. This "hot spot temperature" differential is determined by the manufacturer on prototype units; it's usually expressed as a temperature increase over the average temperature. Adequate cooling must be provided to prevent deterioration of the insulating materials inside a transformer and ensure its long life expectancy. Transformers are cooled using air, water, oil, or natural and forced convection. Basically, there are two distinct types of transformers: dry-type and liquid-filled (Figure 25-14). Dry-type transformers depend on the circulation of air over or through their enclosure. Liquid-filled transformers have the transformer's coils and core submerged in an approved insulating liquid such as mineral oil or synthetic fluid for cooling purposes. Normal airflow around the transformer's enclosure. Additional tubes or fins installed on the enclosure assembly to increase the cooling surface area.